27th overall selection in 2017 MLS SuperDraft has USL Championship experience. 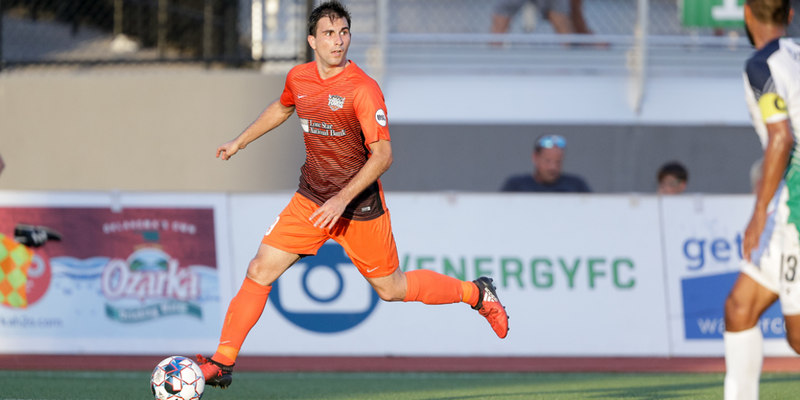 TUCSON, Ariz. (January 28, 2019) —FC Tucson announced today it had signed forward Guillermo Delgado for the 2019 USL League One season. Per club policy, the details of the contract will not be released. Delgado, a native of Madrid, Spain, comes to Tucson with familiar ties to the club. He played one season for the Seattle Sounders U-23 Football Club in 2015, under then head coach Darren Sawatzky. A four-year All-American at the University of Delaware, he registered 117 points and 49 goals in 78 appearances. He graduated from Delaware in 2016 as the school’s all-time leader in five statistical categories: goals, points, assists, game-winning goals, and shots. He’s also made stops at USL League Two Reading United and most recently Rio Grande Valley FC of the USL Championship league. Delgado was selected 27th overall in the 2017 MLS SuperDraft by the Chicago Fire.